GPS Connect (formerly Busfinder) is the GPS enhancement designed for the Routefinder Pro transportation management solution. It interfaces with your GPS system by displaying bus locations and path-points on Routefinder Pro maps - so that you can see that your buses where they are supposed to be. 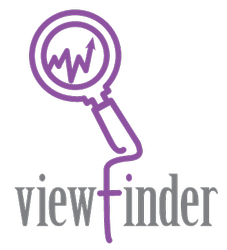 With Viewfinder, you can view planned trips, actual bus location, or both to see where buses are or should be; Schedule reports to run automatically on the days/time you specify, and emailed to the personnel you want; Empower staff to make better decisions; and Analyze productivity and outstanding work; or approvals to meet deadlines. Enhance your fleet by using Wayfinder to Build Routes and Track Vehicles all from your mobile device. Save time creating routes – simply drive a route and accurately capture the path, stop locations, driving directions and times. 247Security is a leading provider and manufacturer of mobile digital video recording equipment, security cameras and GPS data management applications. 247Security's GPS solution offers enhanced tools to help you manage your fleet, without the expense of real-time GPS equipment. Synovia has developed its school bus GPS solutions especially for transportation directors and their bus fleets. Synovia's job was to create school bus tracking solutions that significantly enhanced safety and efficiency and created a meaningful return on investment for school districts. Zonar Systems provides electronic fleet inspection, tracking and operations solutions used by the full range of public and private fleets. Zonar's unique Inspect, Track, Know approach enables fleets to realize unprecedented gains in operational efficiencies, cost savings and environmental impact. Click here to learn more about the Transfinder-Zonar Solutions.